Mix of fields, woods and a nice year-round stream. Could be certified Organic. No sprays or chemicals used in 40 years. NICE area not hunted for many years! 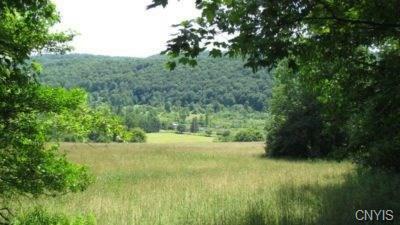 Property consists of 35-40 acres of fields, a lovely stream and 55-60 acres of woods. 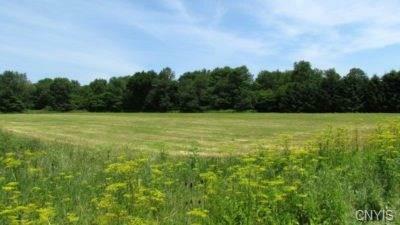 Currently leased, the tillable acreage is hay with one field used for corn periodically. Possible organic. The general area is rolling hills. Soil Maps are available as well.Walking this property was nice. I had deer all around me. There are some photos of a rub and trails. One photo has a few does in it in the distance. Turkeys, partridge and the likes are here as well. 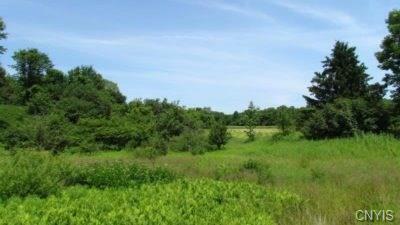 Easy access to the property from Rt 81. 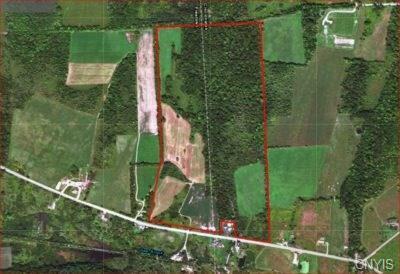 Great acreage to build a camp or 2nd home. This area also offers tons of public land, snowmobile trails, skiing, hiking & biking! Nearest Cross Street Knickerbocker Rd.